The Hollywood Hills situated in the Santa Monica Mountains are probably best known to visitors for the Hollywood sign, Runyon Canyon and the Hollywood Bowl. But residents choose this neighborhood for its tranquility, incomparable views of downtown Los Angeles to the coast, and low-key location. Just minutes outside the city below, yet still within it’s borders, the hills are Hollywood without being Hollywood. You’re separated from the fast pace of urban life, but close enough to feel the energy of the city. 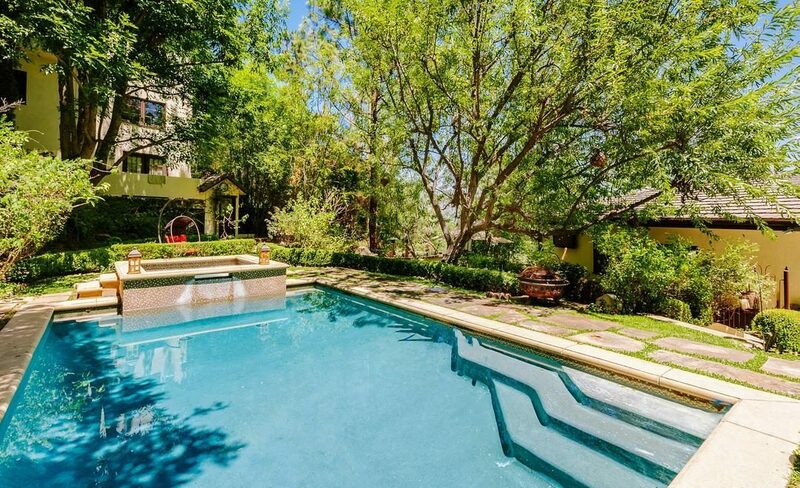 Surrounded by nature, there’s a sense of seclusion in the Hollywood Hills. Most homes have mature, lush landscaping enhancing the natural privacy. 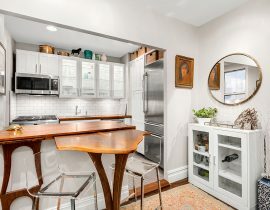 A diverse set calls the neighborhood home, from celebrities and studio executives to artists and writers, which is mirrired in the variety in size and architecture of the homes. 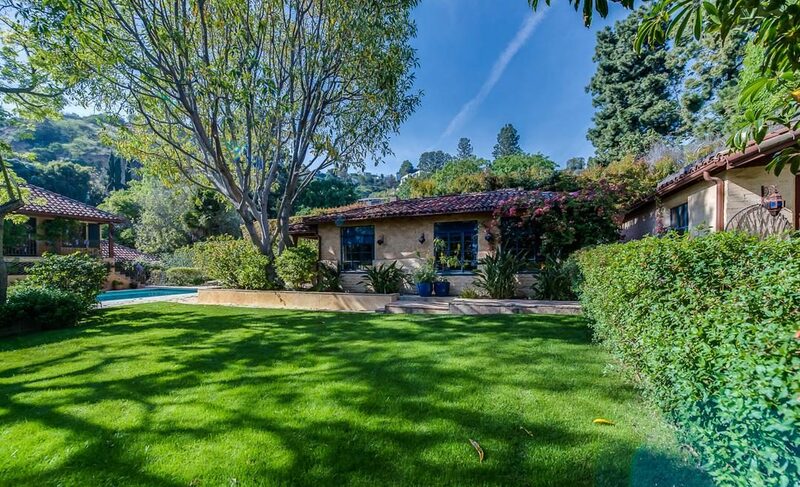 If you’re a hills person versus a beach person, here’s a sampling of Hollywood Hills homes currently on the market for your next oasis. 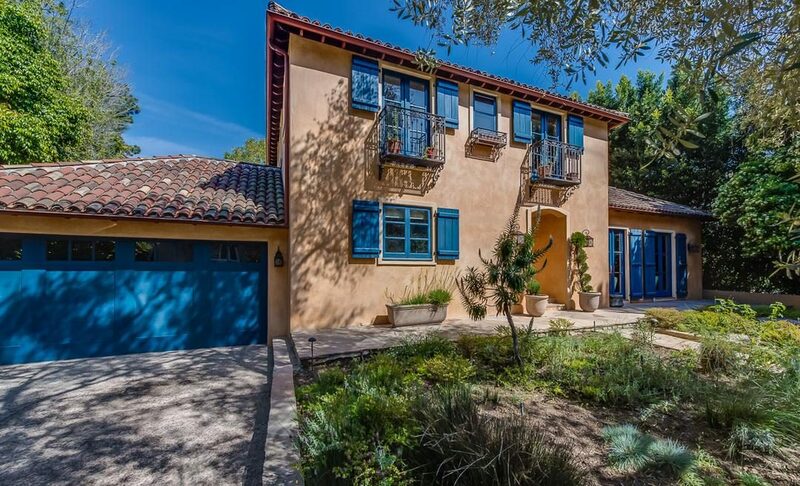 There are many possibilities to transform this 2-story 1930s Mediterranean into your dream home. The completely renovated main house features 4 bedrooms and 4.5 bathrooms, plus there’s an approximately 600-square-foot guesthouse 1-bedroom, three-quarter-bathroom guesthouse. The warm ambiance is accentuated by Brazilian cherry hardwood floors, granite, marble, limestone, and wrought iron throughout. 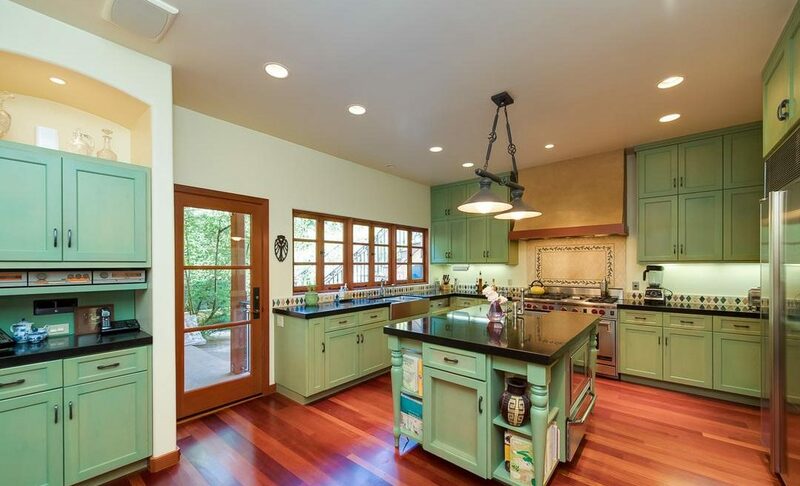 High-end appliances outfit the spacious chef’s kitchen. 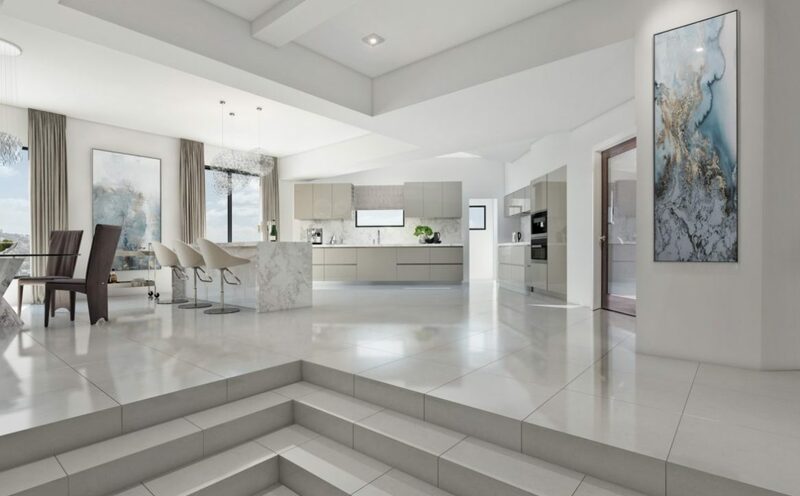 A dining room and wet bar connect to a patio and outdoor cooking area perfect for those who enjoy entertaining. The large backyard features a grand saltwater pool. An upstairs master suite with a private view balcony gives direct access to the gardens and pool. Or, combine this property with the adjacent property for sale and build your dream home in the Bird Street. View more photos of 1416 Bluebird Ave or contact agent Jeeb O’Reilly to schedule a visit. 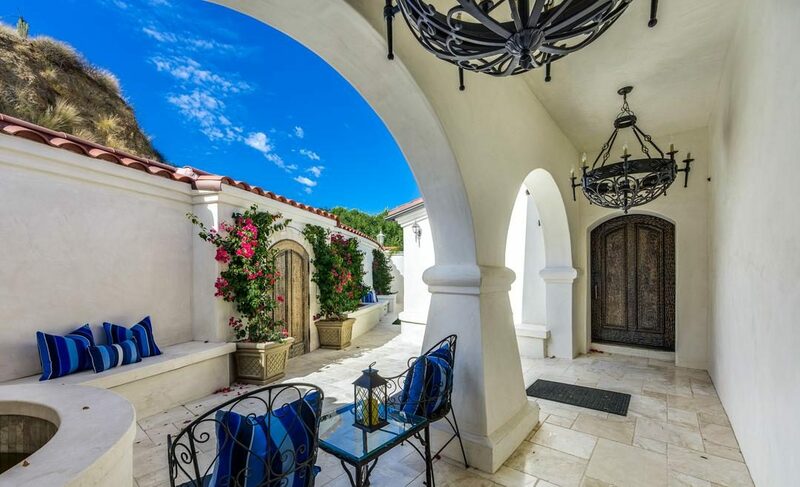 On a private street off Woodrow Wilson you’ll find this exclusive, gated estate. Currently includes 2 homes on 1.66 serene, lush acres with land to build more. 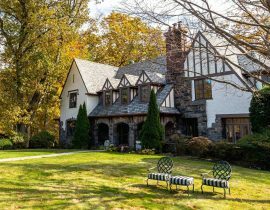 The main house offers 6 bedrooms, 6 bathrooms and approximately 5,641 square feet of grand living and entertaining space. 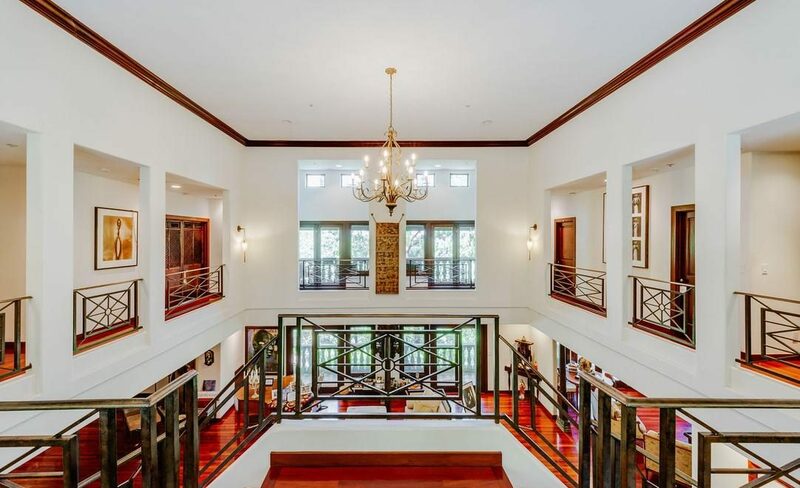 A dramatic 2-story entry and cascading double stairway welcomes you. Upstairs there’s a custom spa-like master bedroom. There’s also 4 bedrooms and a 750-square-foot bonus game room. The living level has an expansive wide-open floor plan including a chef’s kitchen, formal dining, living, family room and maids’ quarters. The 2nd home, 3042 Munro Circle, enjoys its own private gated driveway entry, 5 bedrooms, 5 bathrooms in approximately 2,725 square feet. 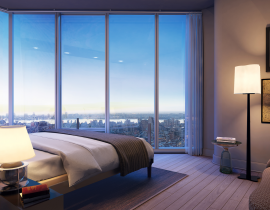 Additional properties features include a private pool, a spa, an outdoor kitchen and dining area with expansive views. 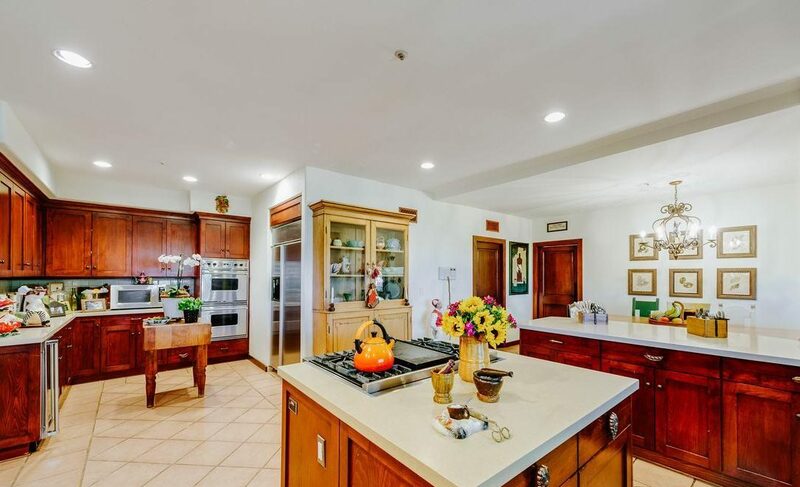 View more photos of 3036 Beckman Road or contact agent Jeeb O’Reilly to schedule a visit. Set in the famed Outpost Estates, this Hollywood Hills Spanish charmer has undergone a full remodel influenced by Old World architecture while keeping in mind modern living amenities. 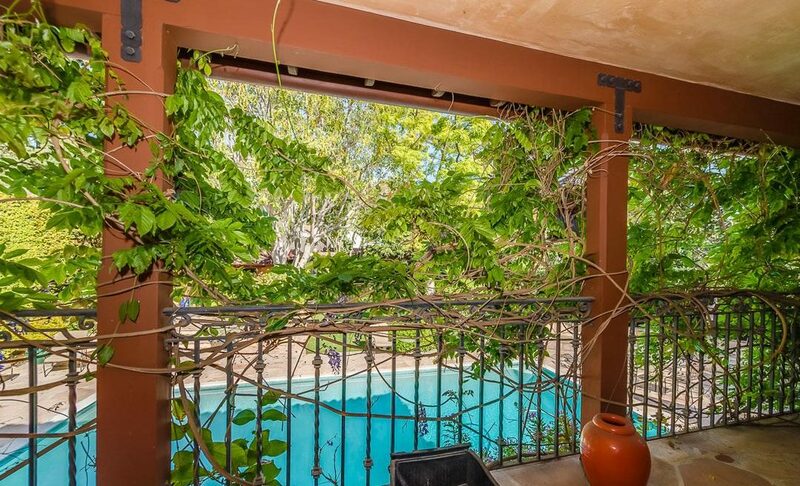 Upon entry through a lush courtyard, views in every direction capture your attention. 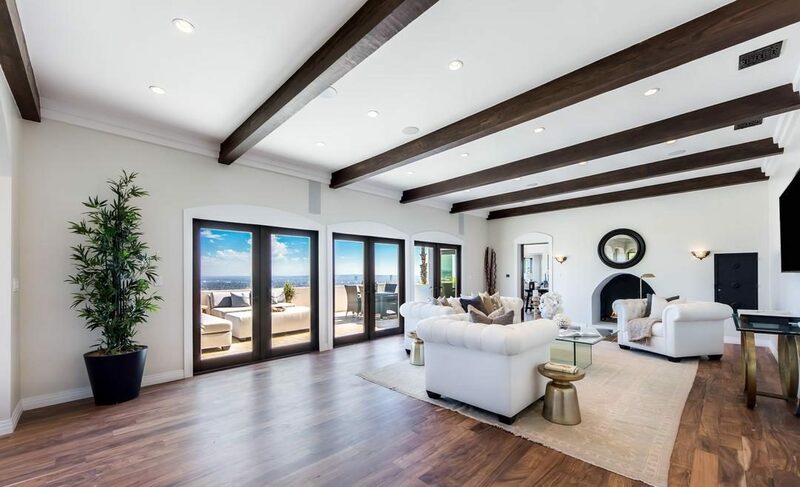 Dramatic high ceilings with wood beams in the living and dining areas, and French doors provide amazing indoor/outdoor California living. 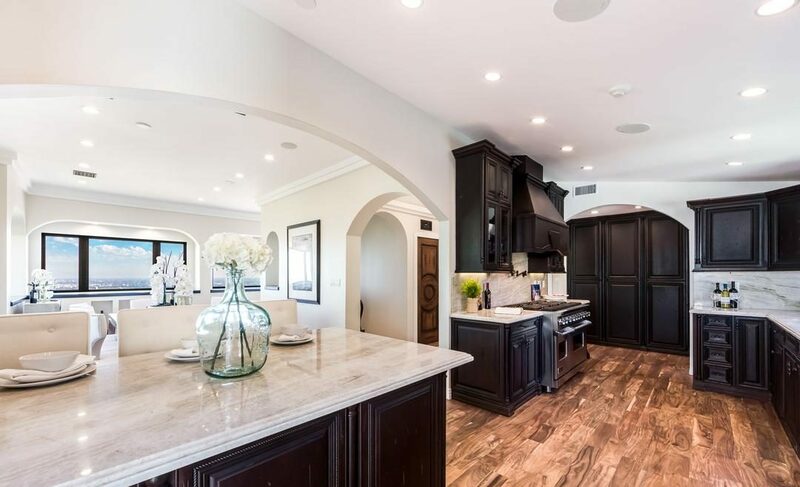 Entertain in the chef’s kitchen adorned with Viking appliances, marble counter tops, dark oak cabinetry and breakfast bar. Cathedral framed arch windows add character to the second level with 3 en suite bedrooms. 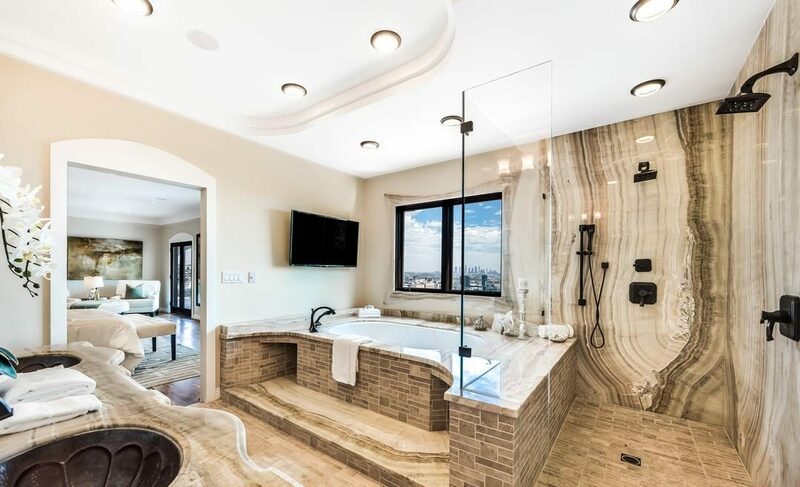 The master suite lies behind a set of French doors and is the ultimate sanctuary with his-and-hers-closets, a jacuzzi soaking tub, and a private terrace. The lower level offers a theater, a bedroom and pool access. The backyard includes an infinity-edge saltwater pool, barbecue, and rich landscaping with matured olive trees. 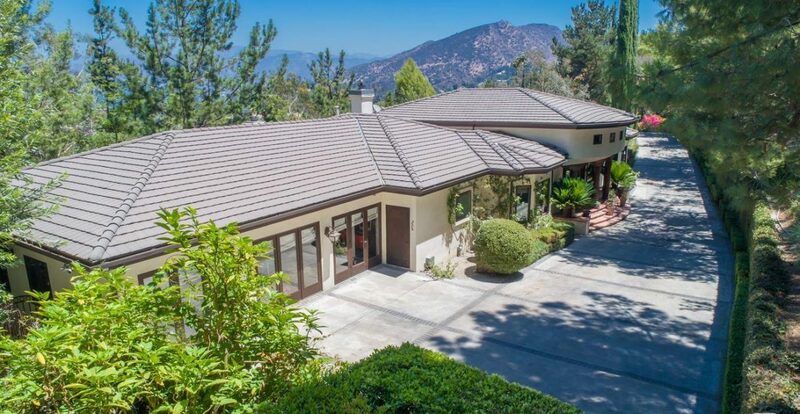 View more photos of 7038 Los Tilos Road or contact agents Josh Altman and Matt Altman to schedule a visit. 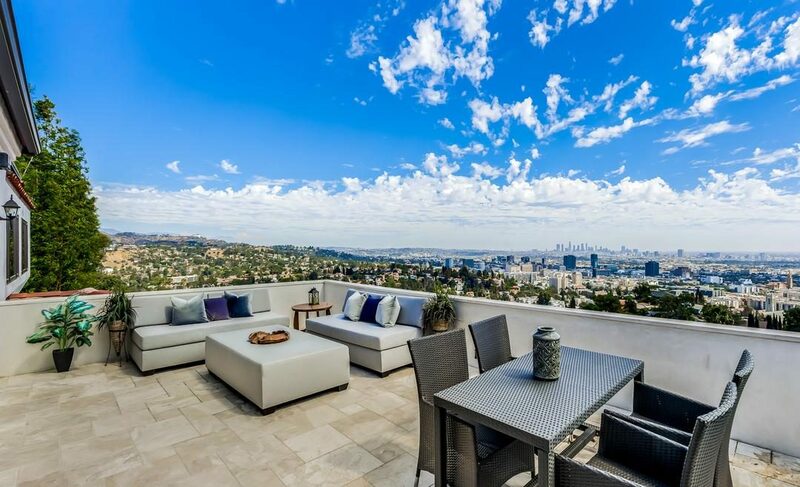 Nestled high above the star-studded streets of West Hollywood, this property boasts sweeping views of downtown to the Pacific Ocean. 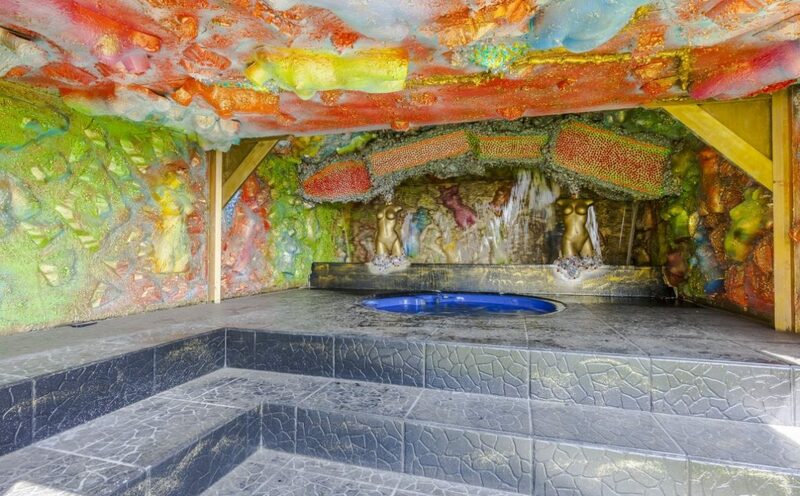 This home is an artist’s sanctuary and feat of engineering that is unlike any other home in Los Angeles. 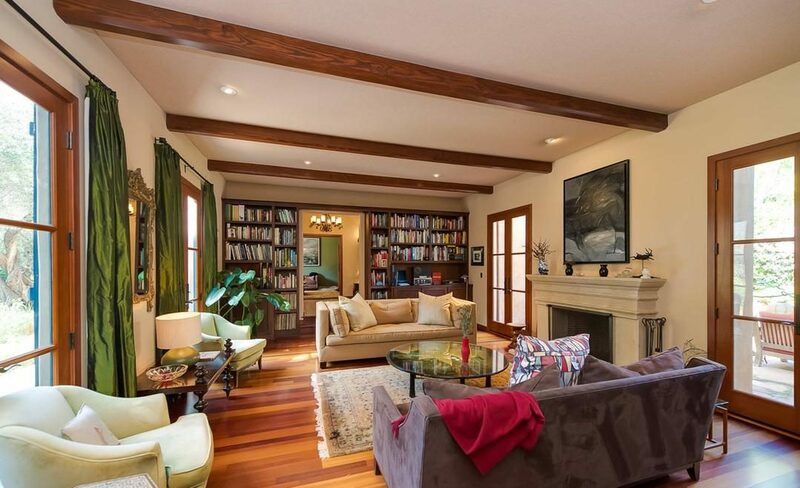 An impressive 8 usable levels, 5 bedrooms, and 6 bathrooms define this home. 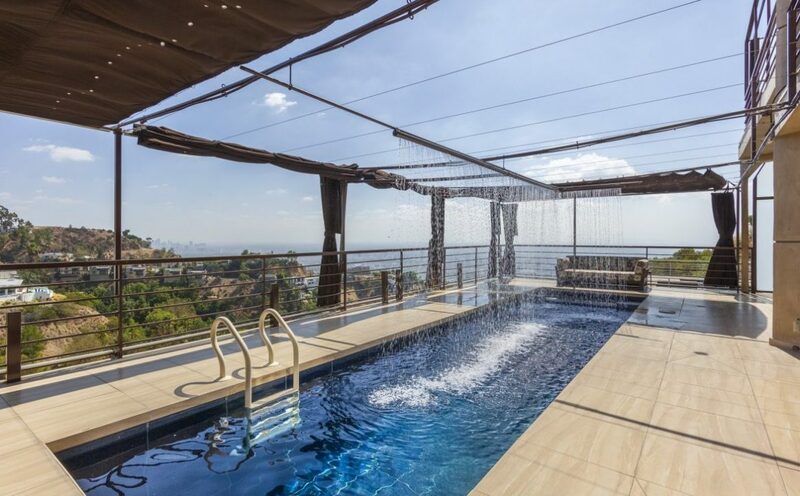 Additional unexpected features include a rooftop suite, a grotto, a Moroccan waterfall, a disco with walls of glass overlooking the city, a state-of-the-art screening room, a casino, and more. The home is a storied amalgamation of over 25 years of development by its current celebrated artist owner. 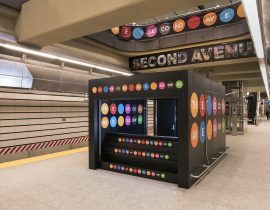 The result is approximately 7500 square feet of usable space. 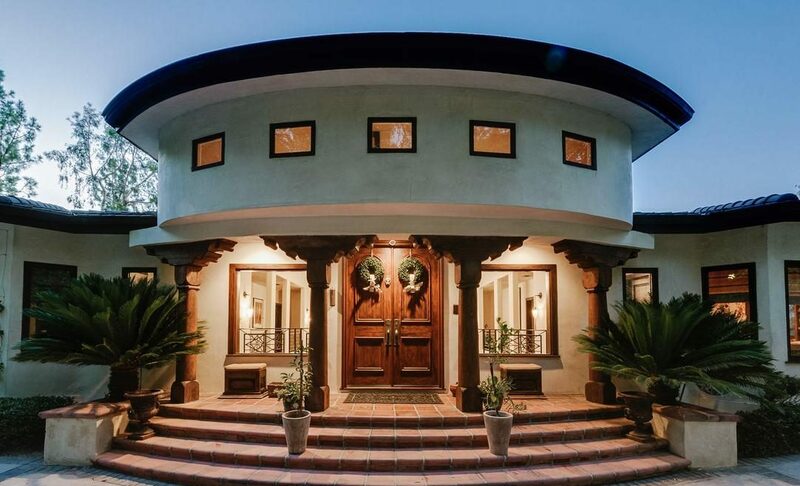 Featured in the L.A. Times, Daily Mail, and a portfolio of other media outlets, 2189 Sunset Plaza Dr has served its purpose as a unique photography studio and is awaiting the next chapter of its life. 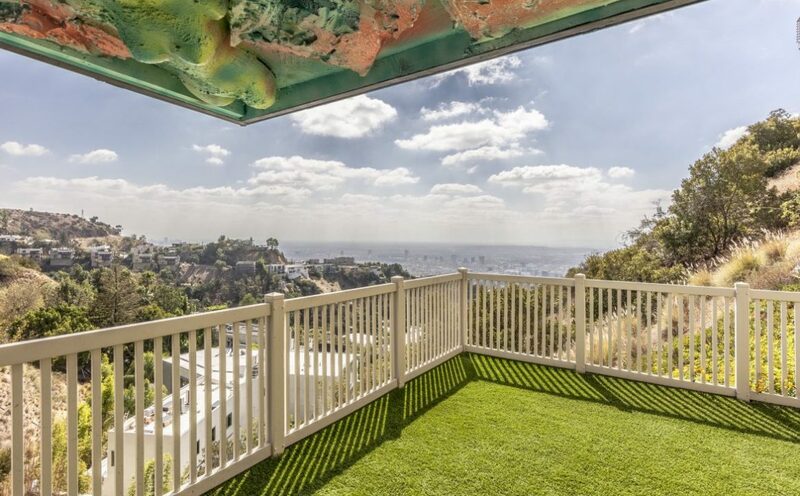 View more photos of 2189 Sunset Plaza Drive or contact agent Devon Norjean to schedule a visit. 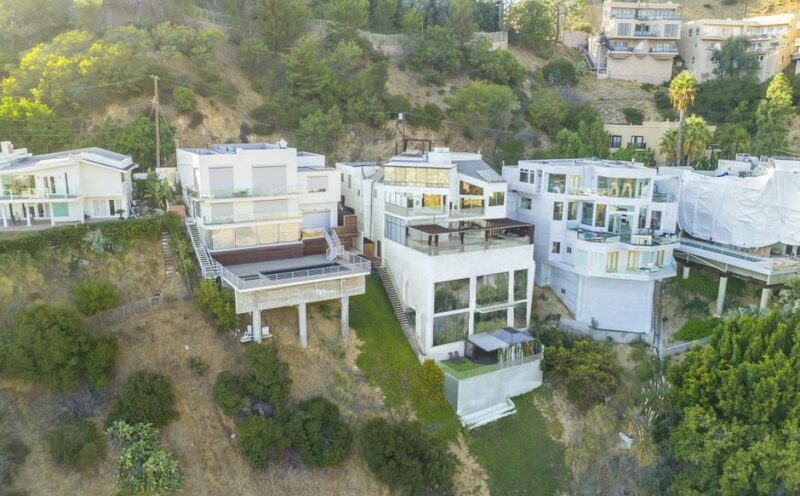 Read more about hikes in the area or search for all available Hollywood Hills homes currently on the market.